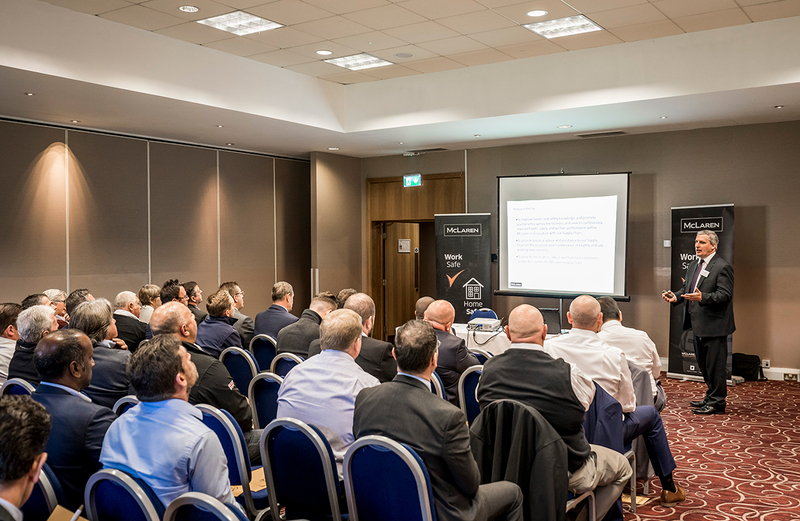 McLaren Construction held its third Contractors Awareness Day last month in Nottingham. Organised by the SHEQ Department, the purpose of this event was to improve health and safety knowledge and promote good practice within the business as well as provide information, advice and training to employers and workers within the McLaren Supply Chain. This year’s theme was predominately occupational health and the event included a number of exhibitors from the McLaren Supply Chain, who presented their products and services. Guest speaker, Michelle Muxworthy, Vice President of IOSH delivered a presentation on the IOSH ‘No Time To Lose’ campaign, which focuses on occupational cancer. Alongside the IOSH presentation, Alan Blanchett, McLaren Group’s SHEQ Director presented the new McLaren Health & Safety Initiative – ‘’Work Safe, Home Safe’’, which focuses on behavioural change within McLaren. The next Contractors Awareness Day will take place in the South region in 2019.